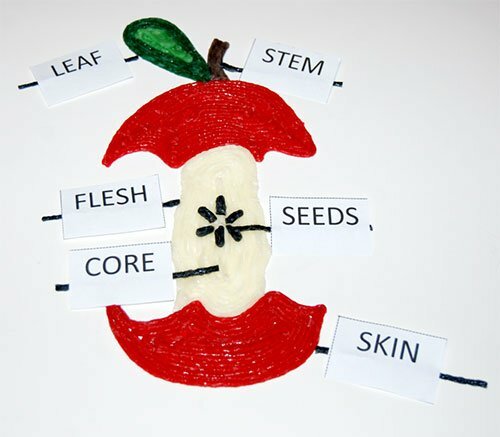 Parts of an Apple Learning Craft for Kids! With fall just around the corner, learning about APPLES is fun for kids. 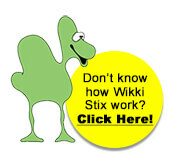 Try the Wikki Stix created parts of an apple craft for hands-on creation, play, and learning this year! Wikki Stix Parts of an Apple Learning Craft for Kids! 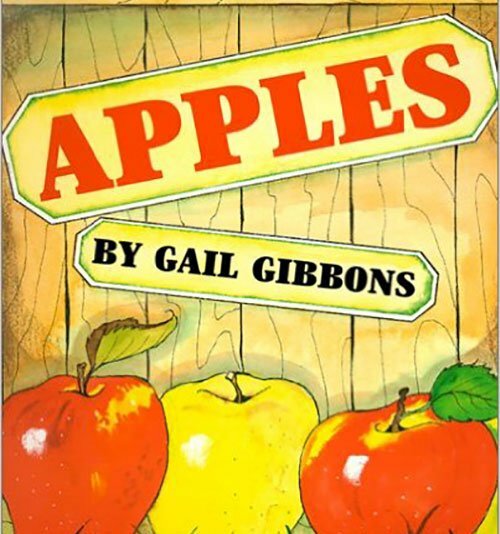 Prior to the activity, read APPLES by Gail Gibbons to the kids. It’s a classic fall book for introductions to learning about apples. Set out all supplies on a table or a large tray as an invitation for the kids to create. 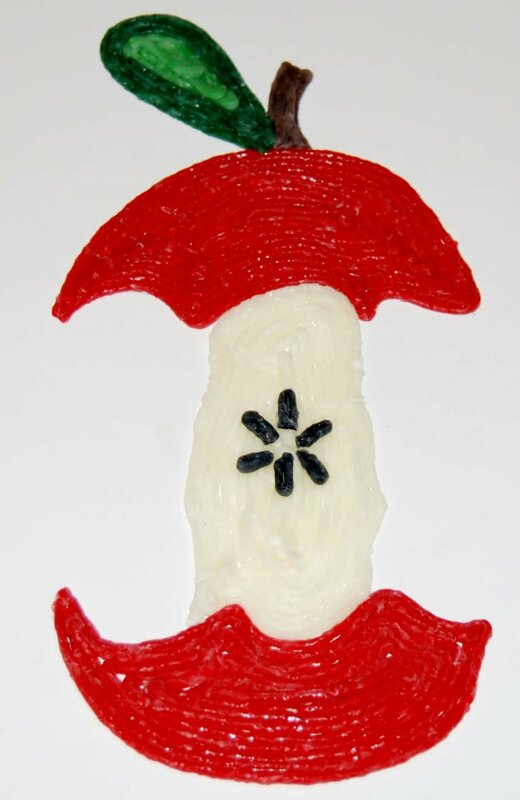 Have kids use red Wikki Stix to create the bottom and top of the apple craft. The skin parts of the apple resemble the tops of an umbrella. 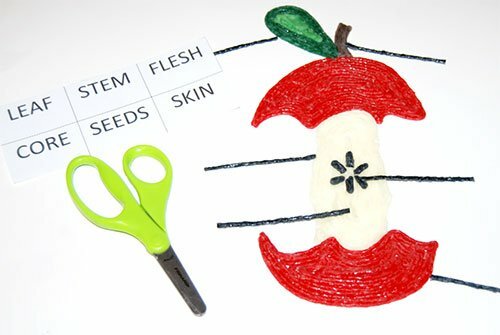 Kids can make an outline of the apple skin shape and then fill in with additional red Wikki Stix. There is no wrong or right way to create the skin portions. Each apple top and bottom will be unique to the abilities of the children creating. Some children may wish to simple create red ovals for the apple’s top and bottom. The core of the apple is created with white Wikki Stix. Kids can create a white Wikki Stix rectangle and fill in the rectangle with additional white Wikki Stix. Have kids place the created apple skins on top of the created apple core. Kids can cut six small black Wikki Stix pieces to resemble the seeds of the apple. 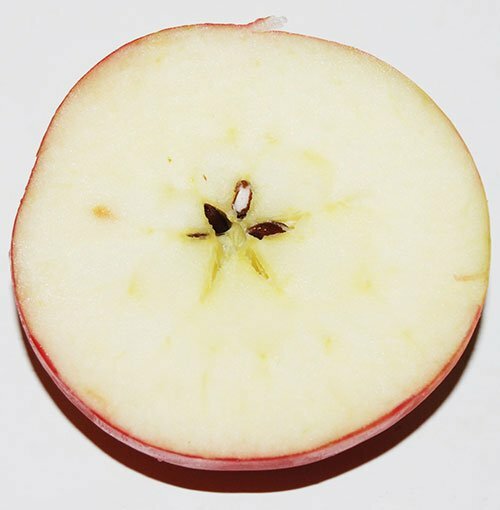 Cut an apple in half (horizontally) and show kids the star pattern for the seeds. Have the kids arrange the seeds in a star pattern on the created Wikki Stix apple core. Kids can then create a stem with brown Wikki Stix and a leaf with green Wikki Stix to attach to the top of the apple craft. 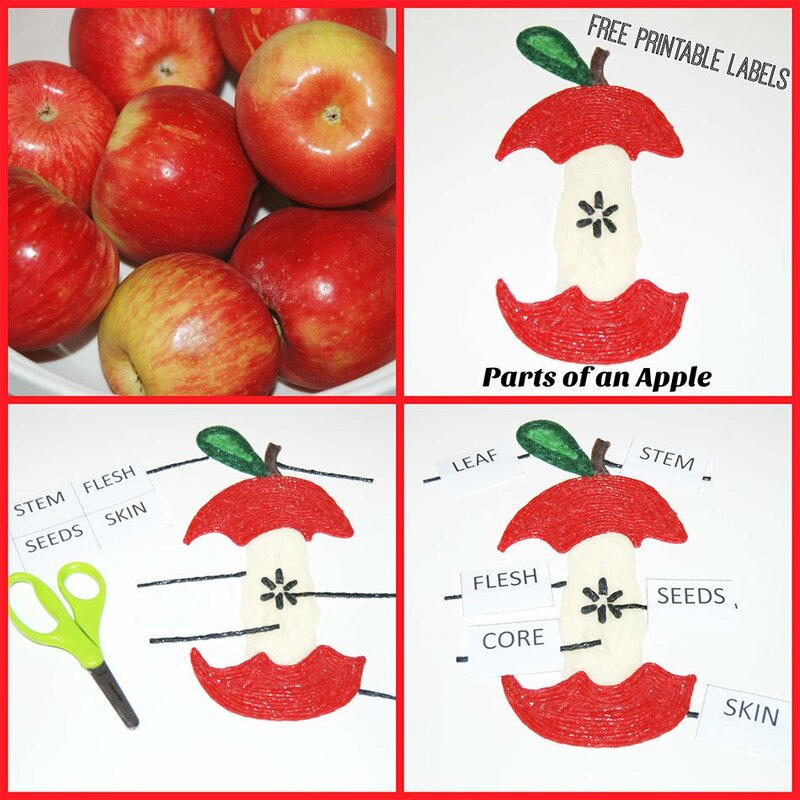 Print the Parts of an Apple Labels (linked above) and have the kids cut them out. If desired, laminate the labels for durability and to re-use as kids learn. The labels will adhere to the Wikki Stix without the need for glue or tape to finish the learning craft. Hands-on creation makes learning “stick” for kids. The Wikki Stix parts of an apple craft is a fun way to engage kids in learning about the world they live in through PLAY.